New Perodua Kancil / Kelisa coming down our alley? Home » Cars » Malaysian Makes » Perodua » New Perodua Kancil / Kelisa coming down our alley? 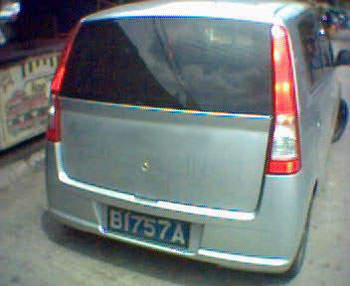 Reader Syah sent me an e-mail with the following pictures of an unmarked car being tested around the Malaysian roads. It’s definitely a car from the K-car class… and it looks very Daihatsu style. The back looks like a smaller Kenari. I snooped around the net for Daihatsu car information to identify which Daihatsu this is and found it here. It looks like the current generation Daihatsu Mira which is being sold in Japan. 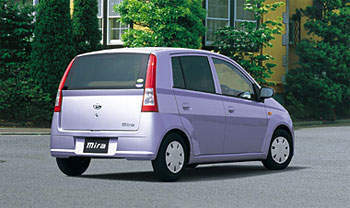 Now what would a new Daihatsu Mira be doing being tested in Malaysia? Is this another new model up Perodua’s sleeves? It does not make sense to add an additional model to the current line-up, so will it be a Kancil Replacement Model or a Kelisa Replacement Model? I’ll end this blog entry with a few more shots of the Daihatsu Mira’s interior as you can’t tell how it looks like inside from the spyshots. Update: Why do I think it’s a test car and not some car from Thailand that just drove into Malaysia? Well, have a look at the Satria Replacement Model photos here. The number plate used for test cars are similiar. Kancil Replacement Model (Perodua Viva) spotted! 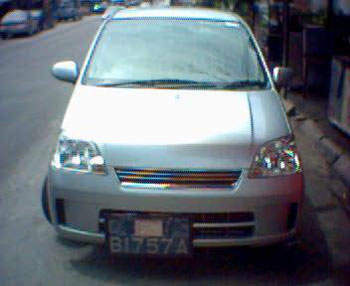 Could this be a Kancil Replacement Model?